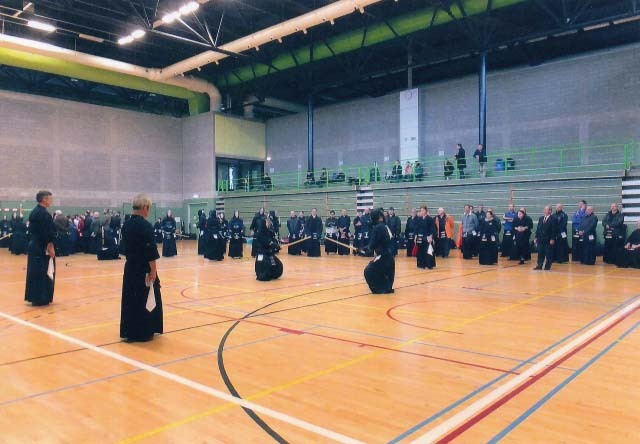 The FIK European Zone Kendo Referee Seminar was held from February 4–5, 2017, in Brussels, Belgium. The seminar started on February 4 with 78 trainee referees from 20 European countries. 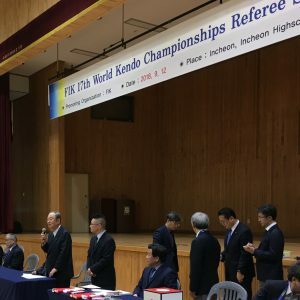 Some local kendoka took part in the seminar as shiai-sha for the referee training matches, making a total of 120 participants. 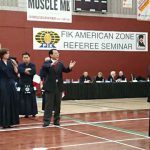 Alain Ducarme-sensei, President of the European Kendo Federation and Vice President of the International Kendo Federation, made an address during the opening ceremony. 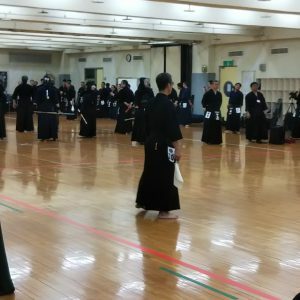 Kamei-sensei then explained the purpose of the seminar and some important points to keep in mind. 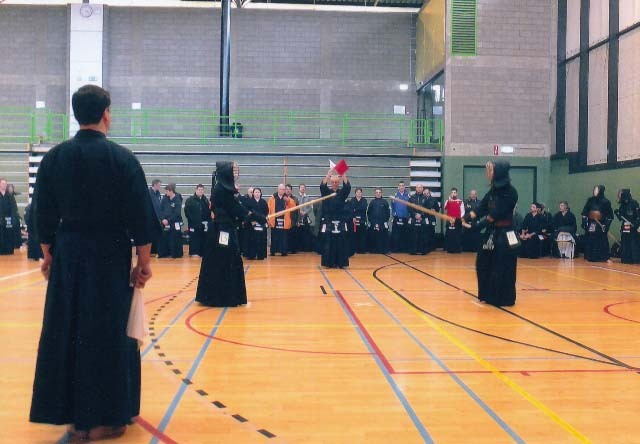 The practical section of the referee seminar began immediately after. The morning of the second day was used to review what was studied the previous day. The judging skills of the trainees had improved by the end of the two-day seminar.